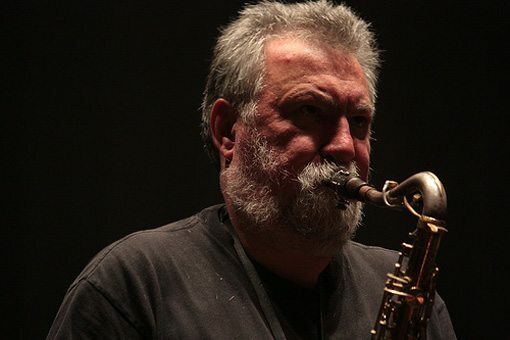 Evan Parker’s longtime association with players of electronics is well known and documented, from his work with the Music Improvisation Company in 1969-70 to his playing with his current Electro Acoustic Ensemble. 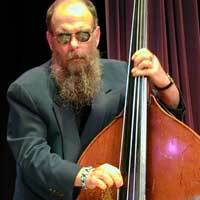 Yet his one-on-one collaborations with electronics sound processors have been few, with minimal recordings. So Parker’s appearance at Mills with longtime collaborator Ryan was a rare opportunity to hear him playing in this context. 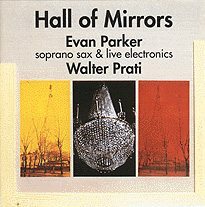 Parker’s solo soprano saxophone music, of course, has likewise been well documented, and if you’ve heard any recent recordings – say Lines Burnt in Light (psi 01.01) from 2001, or Whitstable Solo (psi 10.01) from 2008– you’ll know that his solo music continues to expand in ease of virtuosity and in its astonishing multi-layered complexity. Parker’s single saxophone is in his hands a multiple-line instrument. So what could possibly be added to Parker’s music by electronic means that is not already there? 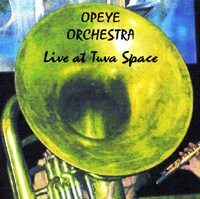 Certainly not complexity in itself, but perhaps a different kind of complexity, one based on extensions of sonic language unattainable through even the most virtuosic advances in saxophone artistry. 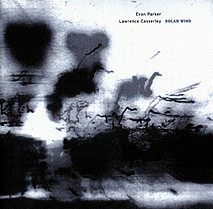 Of the early collaborations, all of which are interesting, Lawrence Casserley’s recording with Evan Parker, Solar Wind, is easily the most rarified and sophisticated. 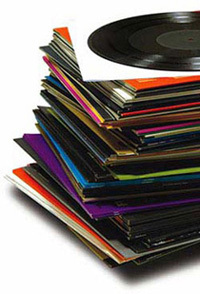 While Parker’s playing is central to the music’s realization, his physical sound is mostly audibly “hidden” in the recorded results. 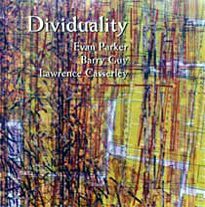 At the same time, it is being bent, stretched, looped, twisted, speeded, slowed, elongated, re-shaped, re-pitched, re-layered, and re-imagined by Casserley. 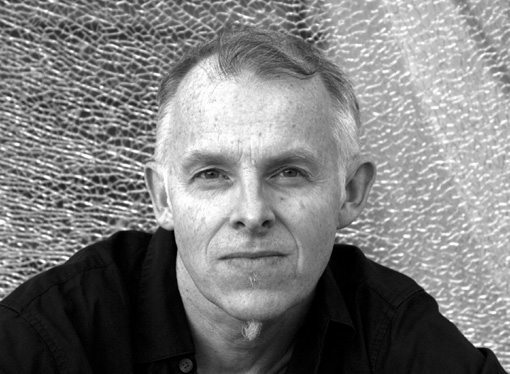 In a 1997 interview with Martin Davidson (2), Parker relates how he initially turned to free improvisation in an attempt to create a “music of the future” for a friend’s sci-fi film – then brought that “futuristic” impulse into his own playing in present time. Perhaps it is a similar impulse that is driving these types of electronic alliances. 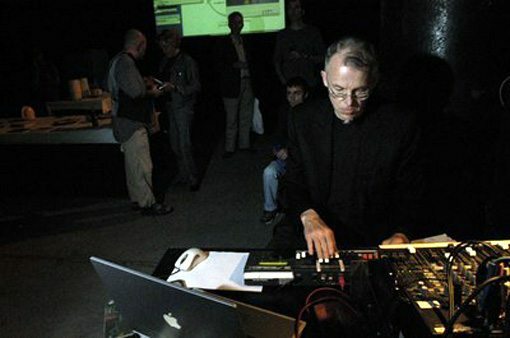 At Mills, the stage was set with Parker, soprano, and stereo microphone on the right; on the left, Ryan behind a table with 2 Apple laptops that sandwiched some discreet electronic gear, all linked together by a maze of wires that flowed off the table onto the floor. 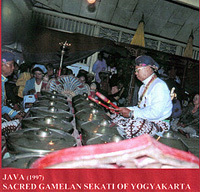 The processed sound was sent to giant overhead speakers that were suspended in the air on each side of the performance space. How did the collaboration work and what did it sound like? In truth, it began slowly and a little off kilter. 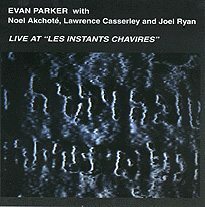 Parker’s playing quickly filled the room and took the ear; the processed sound, mostly low blob-like entities, felt muddled and superfluous to the nimble soprano. But things got better. With Ryan’s coaxing, the sonic balance improved and the music became more varied and interesting. The genies were released from Parker’s horn, and a pair of four and twenty blackbirds flapped furiously out. 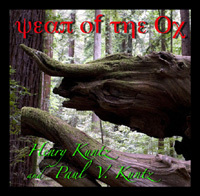 Large and small playful and mischievous spirits darted in myriad directions throughout the space – taunting, interacting with, and ignoring each other – and little high-pitched sounds danced in my ears, independent of the sounds being produced on stage. At times, if I closed my eyes, I would only “know” where Parker was because I had previously “seen” him there. But his freed saxophone ghosts were flying about, courtesy of Joel Ryan. In the end, it was a mesmerizing and highly experiential performance rather than one emotionally engaging in any dramatic sense. Did it reach the heights that Parker and Casserley achieved in 1997? I can’t say it went beyond the sonic language of the earlier music, though the sound was sometimes denser and more layered, but there were certainly moments of brilliance and, without question, of comparable artistry. 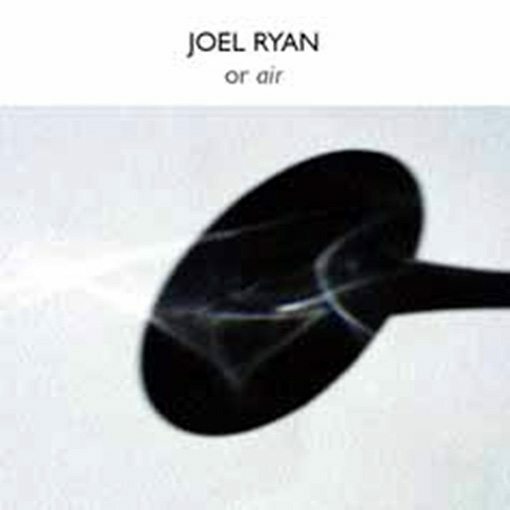 (1) There is also a 2004 release by Joel Ryan Or Air (psi 04.08), on which he creates electronic variations on the music of Evan Parker but without Parker himself being present. 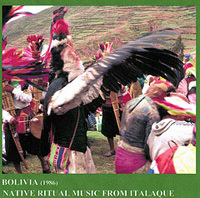 I haven’t heard this music. 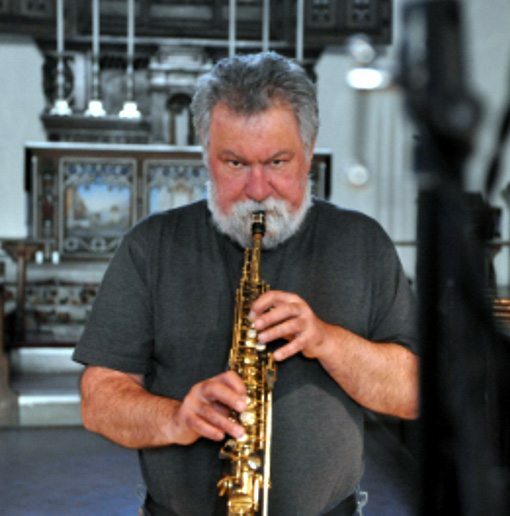 (2) Martin Davidson’s interview with Evan Parker can be accessed on Parker’s page at the European Free Improvisation Home. Please click here… to read the complete interview. Joel Ryan and Evan Parker from STEIM Amsterdam on Vimeo.